Meeting Clients Needs for Over Two Decades! A California fruit processor transferred 8 million gallons of wastewater from one storage basin to another. To address odors during the process, Optimizer Plus was metered into the wastewater flow at 2 gallons per hour. No odors were detected over the 20 day period. A cheese processor collected wastewater in a series of lagoons. A biological product previously used did not function properly as significant fats and odors remained. When Optimizer Plus and General Blend Microbes were added, fats and organic matter were digested, the lagoons were brought back to life and odors were eliminated. A grocery meat packing facility generated 100,000 gallons per day of wastewater containing fats and grease. The existing equipment system including aeration did not achieve compliance (BOD was 300 mg/l and TSS was 1,500 mg/l). After 3 weeks of BioWorld treatments, BOD and TSS readings were reduced to 20 and 30 mg/l and regulatory compliance was achieved. 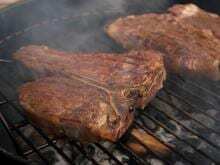 A beef slaughterhouse generated 1 million gallons per day of wastewater containing fats and grease which emptied into several lagoons. 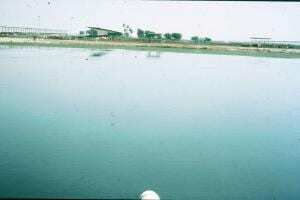 The influent lagoon was anaerobic and several feet thick with solids. After 6 months of biweekly BioWorld treatments including agitation, solids were significantly reduced, odors were eliminated and aerobic digestion returned. A winery processor discharged 4 million gallons of wastewater over a 120 acre area which created penetration and odor problems. 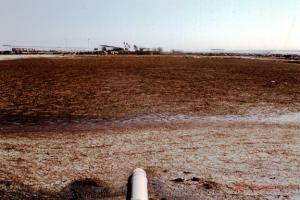 Aerial application of Optimizer Plus eliminated odors from the standing wastewater and improved water penetration into the soil. 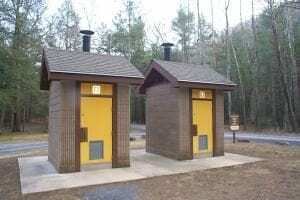 A mobile home village contained multiple septic systems. BioWorld designed a comprehensive treatment plan to minimize pumping costs and maintain the systems based on size and usage. After BioWorld was used, the septic waste was degraded, drain lines flowed smoothly, no backups occurred, the need for pumping was reduced and the facility saved money. A Canadian goat cheese processor collected wastewater in a series of tanks. Even with aeration and a 6 day holding time prior to field discharge, high BOD and TSS readings created odor issues. After Optimizer Plus and General Blend Microbes were added, the treatment and odor issues were resolved. BioWorld optimizes existing equipment systems at food processors, dairies, hog and poultry farms, slaughter houses, industrial facilities, municipal plants, hotels, restaurants, lift stations and grease traps. Completely Digests All the Biodegradable Waste! BioWorld Wastewater Treatment is the best solution for your wastewater challenges at food processors, dairies, hog and poultry farms, slaughter houses, industrial facilities, municipal plants, hotels, restaurants, lift stations, and grease traps. Regular use of BioWorld Wastewater Teatment products digests organic waste, reduces BOD and TSS readings, optimizes existing equipment systems, brings wastewater discharge parameters into complaince and improves overall system efficiency. Apply BioWorld to wastewater containing grease, fats, manure, sludge, proteins, starches, sugars, BOD/TSS and other organic matter. Depending on the waste situation, we collect general project information, provide targeted application rates and make adjustments accordingly. 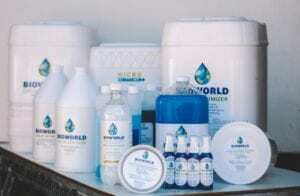 BioWorld breaks down waste into environmentally safe compounds while significantly reducing or eliminating odors in the process. General Blend Microbes – a dry formulation of naturally occurring microorganisms, specially chosen, isolated, propagated and packaged for organic waste. Liquid Optimizer and Optimizer Plus formulations maximize the ability of microbes to reproduce and thrive in a waste situation. This is the real key to our technology. Our formulations are able to withstand the harsh environments found in many wastewater systems. As long as enough wastewater treatment products are consistently used, the combination of Liquid Optimizer and General Blend Microbes will digest organic matter, accelerate breakdown of solids into safe compounds, and eliminate odors in the process. Use Optimizer Plus in situations requiring extra odor control. Depending on the project type, conditions, flow rate, holding time, analytical measurements and treatment goals, BioWorld Wastewater Treatment is added to the wastewater manually or with simple metering equipment. BioWorld provides the framework for microbes to directly break down organic waste into non-hazardous substances while eliminating odors in the process.